We have once again created a selection of exciting collections of houseplants which we hope you will like to try. The ideal gift for Streptocarpus fans! Mature Streptocarpus plants growing in 10cm or 12cm pots with quality ceramic display pots. PRICE INCLUDES POSTAGE. These 10 cm and 12 cm potted plants can be sent to UK addresses only. We have extensively increased the range of Saintpaulias. The range includes bi-coloured, variegated, trailing, doubles & miniatures. None of these varieties are readily available from any other source in this country. 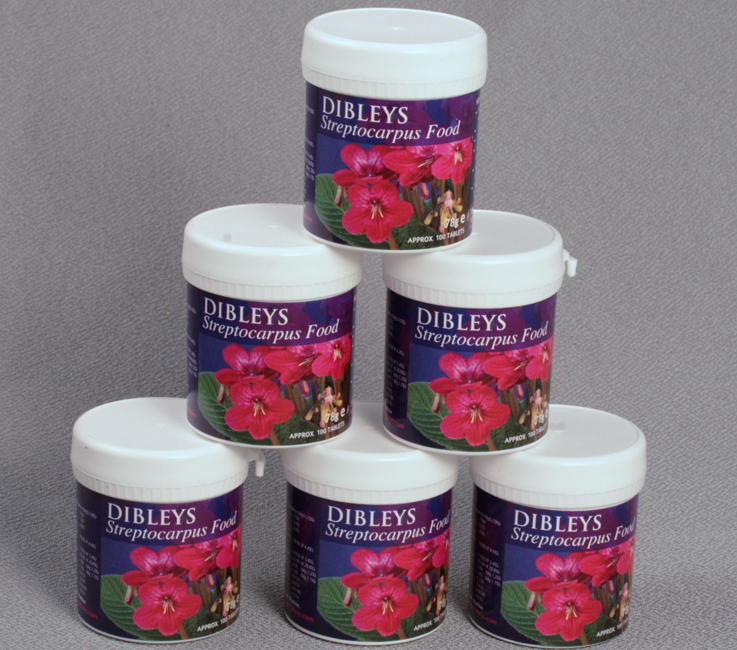 Order Rex Dibley's Streptocarpus book, streptocarpus food tablets, Dibleys streptocarpus seed, gift vouchers, propagators, watering cans and other sundries. Sundries all include post and packing.